The antioxidant serum promises to help skin to generate healthy collagen to resist the signs of aging and contains antioxidants to protect against the environmental damage. The serum works to repair damaged cells and prime skin for make-up. It also contains 0.5% salicylic acid to help clear/exfoliate skin. I like the fact that there are anti-irritants included as sensitive skins can be prone to redness with some glycolic treatments. WIN! Afternoon tea with Paula! If you fancy the chance to bend Paula’s ear about all things skin care, then you can win afternoon tea which will include a personal skin care consultation. Subscribe to the Paula’s Choice monthly newsletter before 31st May 2011 and be in with the chance to enter the prize draw. Plus there are a selection of great Paula’s Choice prizes for the runners up. 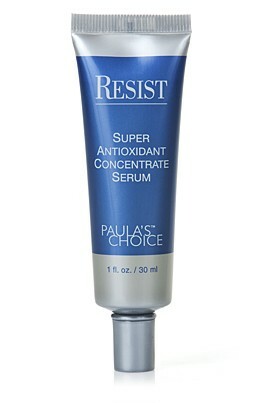 As a newsletter subscriber you will receive exclusive monthly Paula’s Choice offers, helpful articles on all things skin care and beauty related plus pre-sale deals on Paula’s Choice products. 1st prize: Three people will win afternoon tea sessions with Paula Begoun (including transport to London). 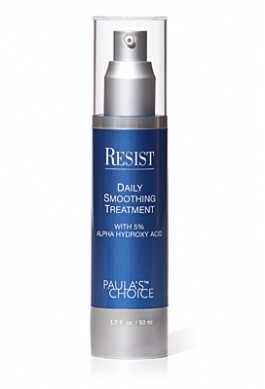 2nd prize: Two people will win Paula’s Choice skin care sets (worth £135 per set). Winners will be informed via email by 1st June 2011. Restricted to UK citizens only. You can find out more on facebook.